As the year nears its end its got me thinking about its highlights (or low lights) in relation to the UK’s response to Fraud, bribery and corruption. 2015 was the year fraud was finally officially recognised as a problem following the publication of the National Crime survey where it was estimated that there were more than 5 million incidents in England and Wales, some may say – and I am one – that this is being very generous. Also there is no mention of how many, under the Action Fraud regime, of these were actually investigated. The report also states that there were 2.5 million cybercrime offences, which again sounds to me like a very optimistic evaluation. 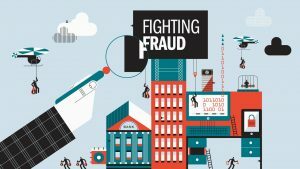 Poor old Action Fraud again made the news in July when the company running what the Daily Mail referred to as “the Government’s troubled fraud hotline” and “No further Action Fraud” went belly up. It was widely reported that jobs were axed and a skeleton staff were manfully keeping it afloat. In stepped the Dorset Crime Czar (?) Martyn Underhill who took up the cause stating ‘This latest news is disastrous for the public who are trying to report their crimes”. August saw the launch of the International Corruption Unit which bought together the National Crime Agency, City of London Police Overseas Anti-Corruption Unit and the Metropolitan Police. On its launch David Cameron described corruption as “one of the greatest enemies of progress in our time”. The future of the seemingly perennially beleaguered SFO was again a subject of discussion with rumours of a merger with the National Crime Agency (who seem to be being gifted bits of all sorts of agencies). However, the rise in SFO prosecutions and the number of high profile cases being taken on (Forex, Tesco, Sweet group) plus the first successful use of deferred prosecution powers has bathed them in, what is for them, a somewhat unfamiliar positive light. The success of the Standard Bank deferred prosecution agreement and the interpretation made by the court in relation to penalties imposed, which followed the standard criminal justice principle of a reduction of a third for a “guilty plea”, is rumoured to have instigated a flurry of activity and more self-disclosures are probably to follow – the merits in terms of justice and the argument relating to the creation of a two tier system of such justice will I’m sure rumble on. So not too bad a year you may say, but balanced against the never ending disclosures of corporate malfeasance, the evident failures and issues with the fraud reporting and investigations regime and the growing threats from on-line fraud, it could be said to be akin to putting your finger in a dam. At least for the first time we have acknowledged the corrosive extent and impact of fraud, bribery and corruption and I will be watching to see where this leads us in 2016. We have already been told that Sir (!) Eric Pickles the “governments Anti-Corruption Champion” off of the back of the prime ministers “tough stance” on corruption is toying with the idea of “unexplained wealth orders” which the cynic in me says – if it were by some miracle to ever happen – would generate a very crowded airspace as many flee in their private jets. What we do know is that there are plans for an Anti – Bribery summit in the UK in 2016 and that Sepp Blatter is unlikely be asked to organise it.